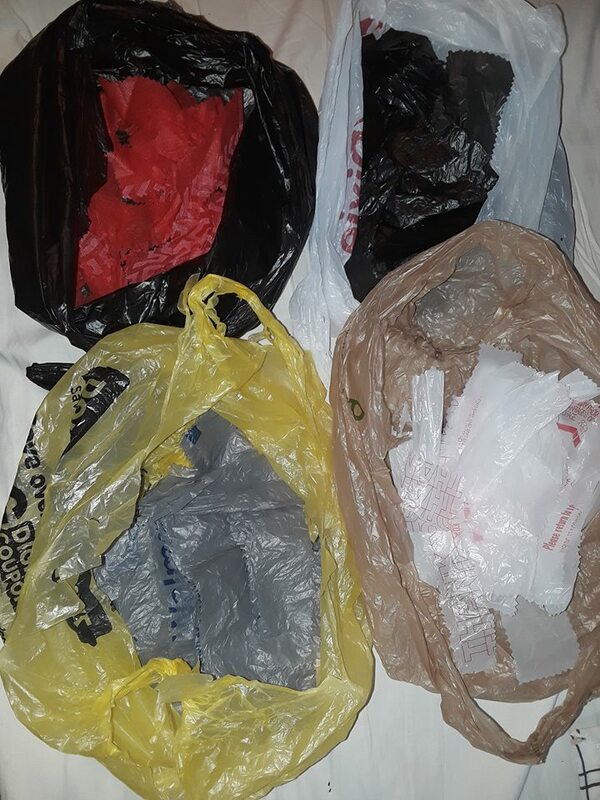 Does anyone have a plastic bag full of plastic bags or is it just me? And this really could be made for any holiday/occassion depending on whatever color bags you have. 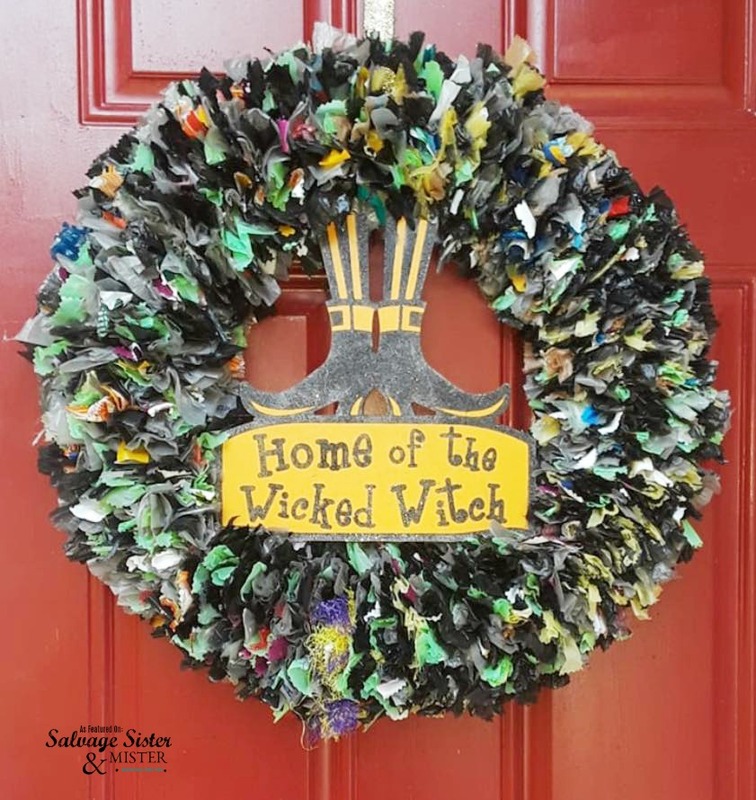 Recently, in the Upccyle Sharin group on Facebook, Barb Kanne-Sampson shared this super fun wreath and it was the feature on the week. Barb is so kind to share it with us. 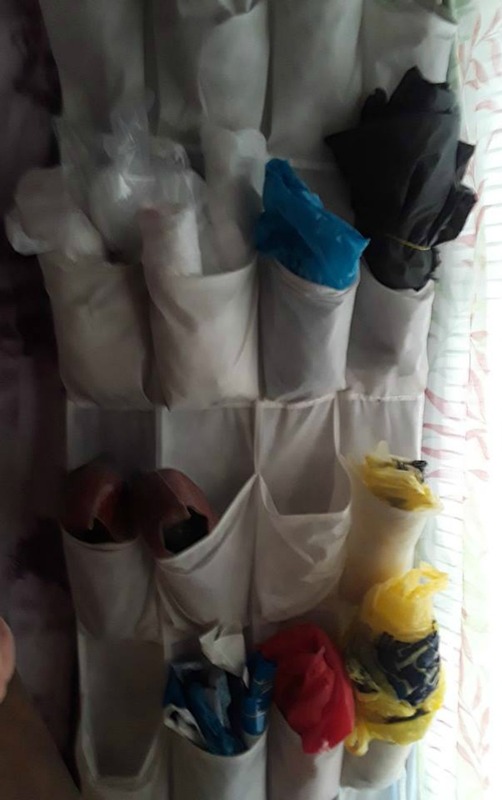 First off, this is Barb’s storage/sorting system for her bags….a shoe organizer. This allows her to separate the bags into colors/types. If you want, you can sort your colors into separate bags/piles or mix them all together. It helps me to separate the colors so I can see how much I have of each, in case I need more of a particular color. 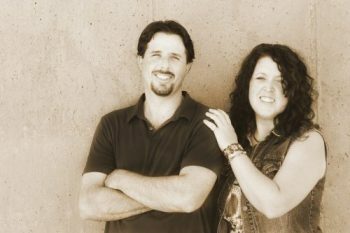 Plastic Bags – Different plastics you can use:. A bread bag, a green plastic table cloth, a blue plastic potato chip bag, etc. 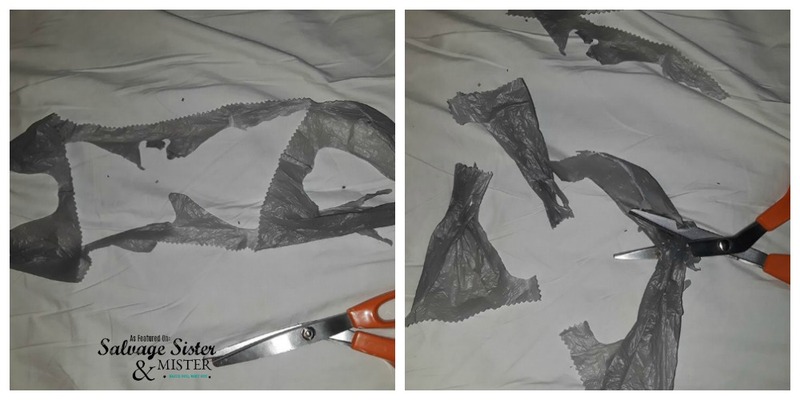 Fold your plastic bag flat, fold in half, then half again. 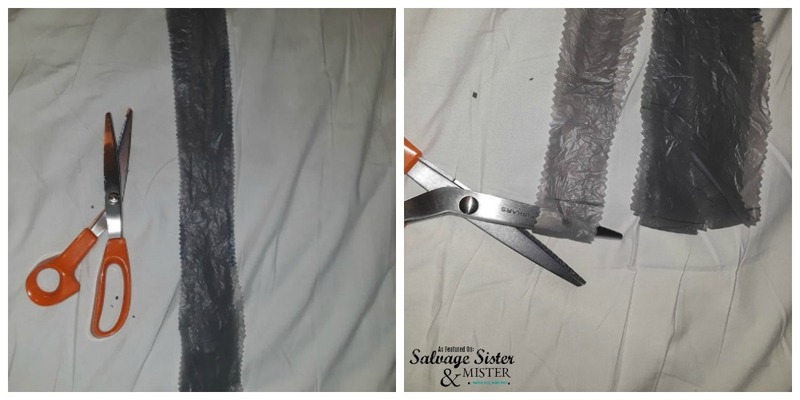 Cut off the end, the cut the bag into 1 1/2 – 2 inch pieces. I use my index finger for measurements. Open the pieces and lay them flat, cut open one end of each piece. You will have several long pieces that you will lay on top of one another, and cut into approximately 6 in pieces. Again I use my hand for measurements. Don’t worry if the strips are a little longer or a little shorter. If they are too long you can trim them later. If the strips are too short they will be hard to tie, so be careful. Save the handles, too! Barb cuts them up and use them, too! I used an 18″ wreath form I had on hand. You can use any size you want. TIP – If you don’t have a wreath form, you can bend a wire coat hanger into a circle and tie your strips on to that. I take three strips and tie them together onto the wreath form. I use three strips together because it helps the wreath look fuller and it’s faster than one at a time. You can mix and match the plastic strips as you wish, depending on what kind of look you are going for. Give yourself a lot of room to work. 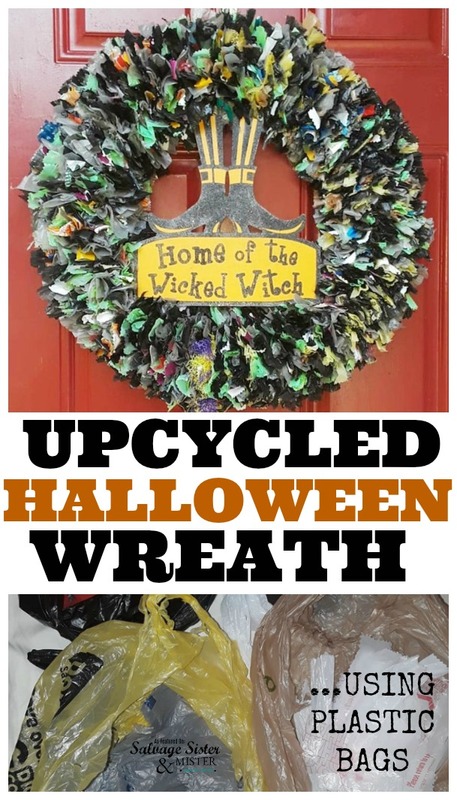 The larger the wreath form you use, the longer it will take to fill the wreath. Push the tied on strips together snug for a full look. She got that sign part from her sister as a gift. “I think she got it at the dollar store “ She tied it on the wreath with the ribbon that was on it and then tucked it into the wreath. A big thanks to Barb for sharing this with all of us. 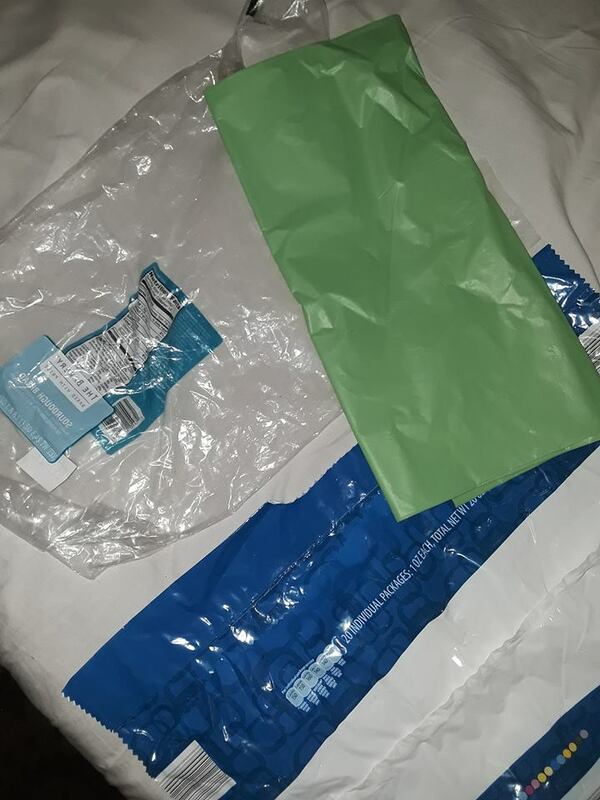 If you want to find some other ideas to use up plastic and paper bags, you can check this post out.